This segment comes from Episode 4: Power + Humility. The church’s record of holding power – from Emperor Constantine in the 4th century onwards – has involved some terrible acts of coercion, exploitation, and abuse. Yet Jesus set an example of selfless service and started a “humility revolution” that fundamentally transformed the West and the way we think about leadership and power. For groups like women and indigenous peoples, what has it looked like when Christians have exercised power for their own benefit? What has it looked like when they’ve exercised it for the good of others? This segment looks at the surprising impact of Christian missionaries on the world, particularly focusing on the Serampore Trio in India. Recent research challenges the stereotype of the imperialist, destructive colonial missionary. JUSTINE TOH: We’re all familiar with the stereotype. Missionaries destroyed local cultures, by forcing civilisation on native peoples who did not want or need it. If the coloniser subdued the body of the native, the missionary sought to tame their soul, by replacing indigenous spirituality with the white man’s god. And yet, research suggests that missionary influence has been far more positive than we might expect. ROBERT WOODBERRY: When we look at the missionary movement as a whole, its average effect has been profoundly beneficial for the vast majority of people who have interacted with them. They have more economic development, they have longer life expectancy, they have lower infant mortality, higher educational enrolment, higher literacy. And then that has had both economic and political outcomes. So, for example, you can explain about 14 percent of the variation in current GDP, economic development, based on the historical prevalence of Protestant missionaries. You can explain about half the variation in current political democracy based on the historical prevalence of Protestant missionaries. I mean these effects are huge, they’re quite huge. JUSTINE TOH: It’s a big claim to make, that missionaries were “profoundly beneficial” to the societies where they went. But it’s more than borne out in the lives of the three missionaries, or four to be exact, known as the “Serampore Trio”. William Carey, William Ward, Joshua and Hannah Marshman, came to India to win converts. Now they weren’t terribly successful on that front. But what they did accomplish is absolutely staggering. This is Serampore College, the most visible outcome of their efforts. But beyond advances in education, the Serampore Trio also achieved the outlawing of not only infanticide, but also the killing of lepers, and the ritual sacrifice of widows, known as sati. DANIEL JEYARAJ: The word sati is interesting. Sat means “truth” – “are real” – and i is the woman. So, a sati is the true woman or the real woman. In other words, according to this particular Sanskrit or Hindu tradition, a real widow should not live, she should be with her husband. Even the husband is dead so she should voluntarily offer herself to be burnt and to embrace her husband even in the other world, the next world. JUSTINE TOH: When William Carey arrived in India, sati was widespread. Hindu tradition or not, it horrified him. In 1799, he wrote about the first time he saw the practice. ACTOR (WILLIAM CAREY): I talked until reasoning was of no use, and then I began to exclaim with all my might against what they were doing. I told them that it was an act of shocking murder. And they told me that it was a great act of holiness, and added in a very surly manner that if I did not wish to see then I might move farther off. I exhorted the woman not to throw away her life; but she, in a most calm manner, mounted the pile, and lay down next to the corpse. Two bamboos were placed over them and held fast down, and fire put to the pile, which immediately blazed very fiercely. We could not bear to see more, but left them, exclaiming loudly against the murder, and the true horrors of what we had seen. JUSTINE TOH: Carey wasn’t the only one to oppose sati, but he was among the first, and the most persistent. He worked with Indian social reformer Ram Mohan Roy, who had lost his own sister-in-law to the tradition. In December 1829, Carey was at his desk preparing for a church service when news arrived from the British Governor-General. The practice of sati had finally been outlawed. He immediately sent for someone to take over and started work on the official translation for the Bengali Gazette. If a single life could be saved, then getting the news out just couldn’t wait. Did the Serampore missionaries impose their cultural values on others? Perhaps they did. But our commitment to universal human rights today makes it hard to argue with the results. ROBERT WOODBERRY: So, there were lots of movements that they got involved in, in terms of women’s rights, not many of which were popular at the time, and many of which they lost converts over. But now, most people, even in those societies, would support. JUSTINE TOH: Missionaries like Carey were committed to the idea of human dignity. That meant they opposed anything they saw as dehumanising. It also meant they fought to make education available to as many people as they could. The Serampore missionaries were self-educated and from humble backgrounds, so it’s not surprising they were big believers in education for all. In fact, they were so successful in lobbying the government on this point that there was state funding for education in India long before it existed in England. Crowning these contributions to Indian education was the founding of Serampore College, established in 1818 to educate Hindus, Muslims, Christians, anyone, regardless of nation or creed. From the day its doors opened, a wide variety of subjects were on offer. The Bible, of course. But also, science and history, botany and physics, Sanskrit and Arabic. This is the first map of India published in Bengali. The Trio insisted that, whenever possible, students should be taught in Bengali and Hindi. English instruction would only begin once a student had completed the subjects offered in their native tongue. They wanted students to be well versed in their own culture’s contributions to knowledge. It was a remarkably non-Eurocentric approach, and well ahead of its time for its cultural sensitivity. In 1836, Joshua Marshman wrote, “Mass education would sow the seeds of economic development.” In other words, the Serampore trio weren’t simply concerned with saving individual souls, but the renewal of an entire society. ROBERT WOODBERRY: They just thought they were trying to help people, and they thought Christianity would help people, and they thought modern science would help people, and they thought modern health would help people, and so they viewed all of these things as part of their job in terms of helping people. DANIEL JEYARAJ: There are memorials for the colonial masters with big swords and other things but the symbols and memorials for the missionaries are in the hearts of the people. JUSTINE TOH: At the age of 72, William Carey lay dying in the India he’d called home for more than half his life. We’re told one of the last men to visit him was the Scottish missionary Alexander Duff. Humble to the end, Carey was always pointing to Jesus as the source and inspiration for his efforts. Along with Ward and the Marshmans, Carey helped to bring about amazing social, economic, and cultural change in India. In doing so, he showed how the followers of Jesus could be a powerful force for the common good. Place a mark on this line for where you think Christianity falls on the scale between power/control and humility/sacrifice. Read the information box about the practice of foot binding in China, and answer the questions below. Chinese Foot Binding(5) by John C Bullas BSc MSc PhD MCIHT MIAT available at https://www.flickr.com/photos/johnbullas/501815667 under a Creative Commons BY-NC-ND 2.0 Licence. Full terms at https://creativecommons.org/licenses/by-nc-nd/2.0/. What is your response to this practice? Just because a cultural tradition has developed, does that make it a good idea to keep? Does every child, in every country in the world, deserve the right to be educated no matter what? Do we have the right to educate everyone, even if it involves challenging the cultural practices of a particular society? Find three images on the internet that capture your view of “missionaries”. Explain how these images reflect your understanding of missionaries and your attitude towards them. How does this quote from Jomo Kenyatta make you feel? Do you see this kind of description as typical of Western Christian missionaries? What are some examples Woodberry gives of this beneficial effect? In what ways are these results surprising? 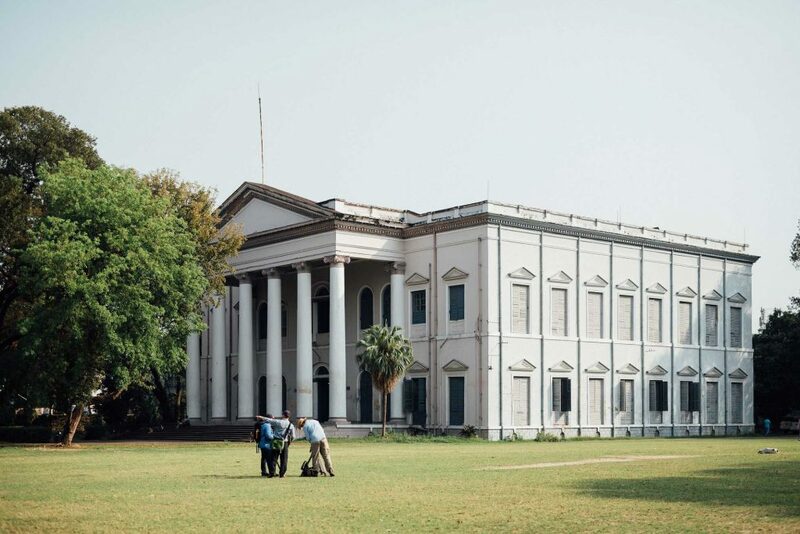 What proof is there that the Serampore missionaries cared about the local people and culture? What is the practice of sati? What was so disturbing about the practice of sati to William Carey? How does this practice make you feel? Discuss: Did William Carey have the right to challenge the Indian culture with regards to sati? Why did the Serampore missionaries create Serampore College, and in what ways was it culturally sensitive for its time? Give the answer you think the Serampore missionaries would give to someone who said that widows and the uneducated poor in India should just accept their lot in life. What does this suggest was Carey’s prime motivation in being a missionary? What might this quote show us about how Carey was influenced by the life and teachings of Jesus? Context: This passage is part of the Apostle Paul’s first letter to the church in Thessalonica, a port city in Greece. Paul was one of the original Christian missionaries. In this section, he reminds the church of his first visit to them as a missionary, and the way that he and his companions lived among them. Build a CV for Paul highlighting the strengths he had as a missionary. Focus on his characteristics, actions, attitude (especially in the face of struggles), and motivations. From the video, how close were the Serampore missionaries to following Paul’s example? Write a journal entry from the perspective of one of the first students at Serampore College, outlining your experience of the college and of the missionaries. Reflect: What would your life look like if you displayed the humility William Carey did? Read this article from ABC Religion & Ethics, “Were Christian missionaries good for liberal democracies?”, by CPX’s Natasha Moore. Doing your own research online, find another article that has a negative perspective on missionaries. Write your own article critically evaluating the points that each article makes.